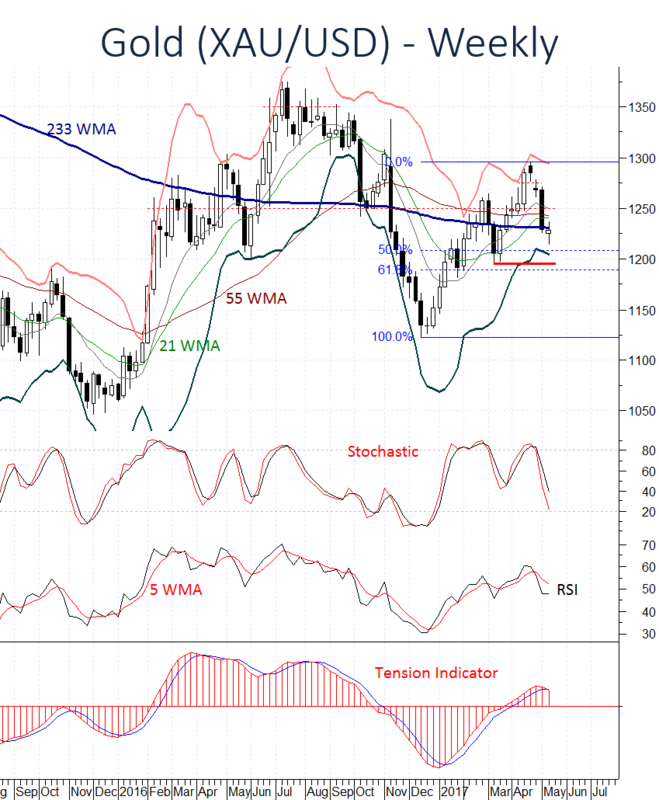 The anticipated corrective pullback is underway, with Gold prices correcting steadily lower from the USD1295.42 high of April. 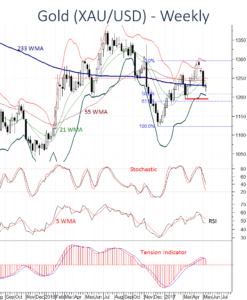 Unwinding oversold daily studies are prompting stabilisation above the USD1208.80, (50%) Fibonacci retracement. However, congestion around USD1250 is expected to prove difficult to clear, as momentum studies and the Tension Indicator continue to weaken. In the coming weeks, risk is for a fresh test lower, with a break below USD1208.80 targeting critical support at the USD1194.55 low of March. A close beneath here will confirm a more significant bear trend, and open up the USD1188.50, (61.8%) Fibonacci retracement, ahead of USD1145.68. A close above USD1250 would help to stabilise price action, and improve currently bearish investor sentiment.